SPRING SALE IS ON NOW!!! FREE Work Bench and Window! Thank you for visiting Texas Discount Sheds. we specialize in cabins and weekend homes, one story, two story models, gables, barns or if you have plans that you come and show us we can review and build your custom build that you want. We specialize with the best materials possible but try to give you the best price that we can build your cabin for. We are a local business so all of your attention will be to your construction. we do not subcontract work. If you don't see a size that you are looking for just ask we can build it. 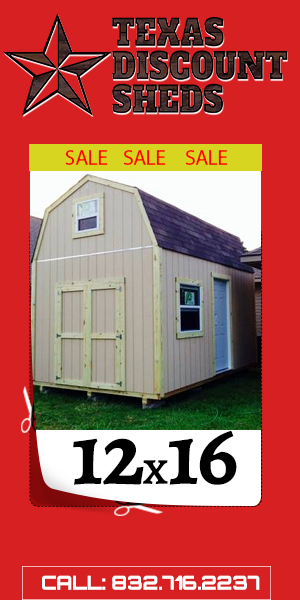 I hope you lke what you see and hopefully we can help you build your cabin, take a look at our prices and inventory. All our cabins come right now with free hardy plank siding.